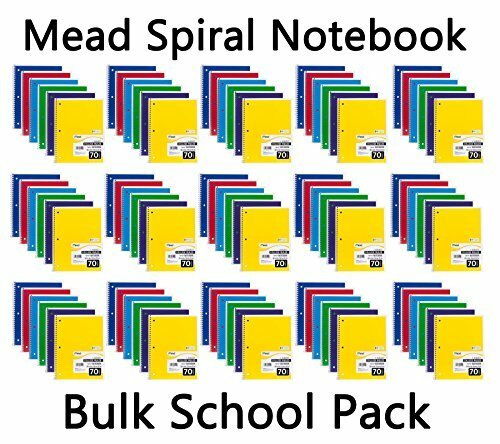 It's back to basics with this Mead spiral notebook that you can take with you in or out of a binder. 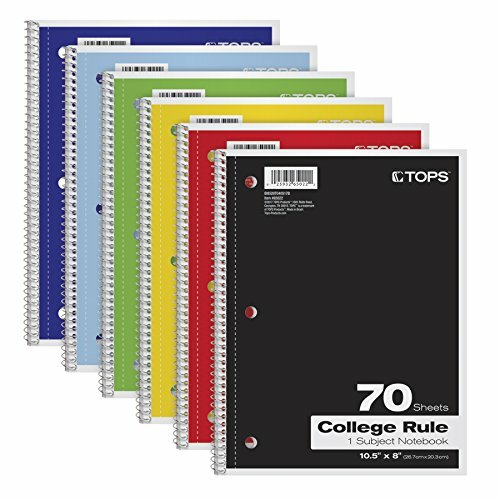 1 subject, 70 sheets, college ruled. 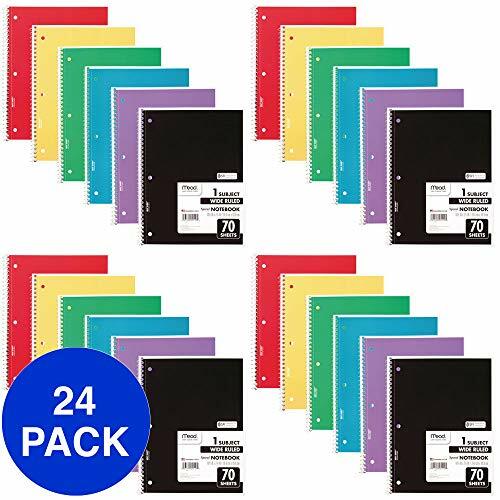 Covers come in an assortment of colors, color received may vary. 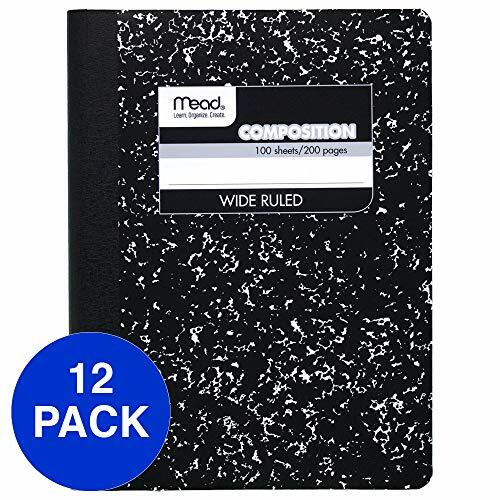 Give your loved ones the gift of writing down all their memories. 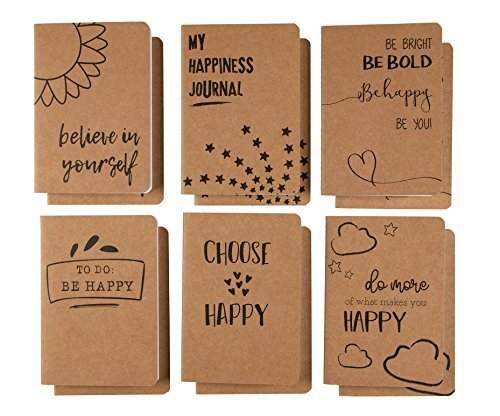 This 12 pack of Kraft notebooks with 6 different doodled designs is just great for making preparations and plans or writing down keepsakes and memories from your time around the world. 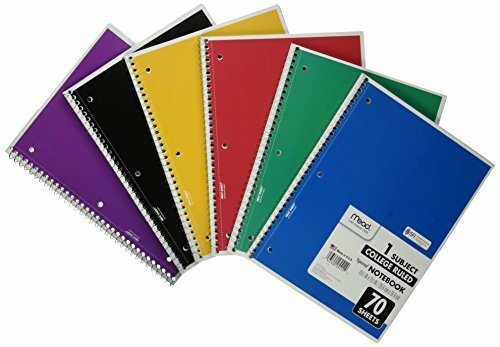 Give one to the whole family so everyone can make a special book! 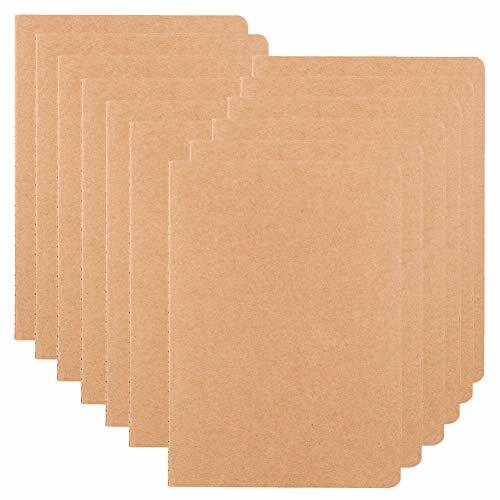 Each notebook has a kraft brown 250gsm cover, 80 pages of white offset paper and measures 4 x 5.75 inches. Durable black marble cover with modern nameplate and secure sewn binding. Class schedule grid on inside front cover. Multiplication table, conversion table and grammar rules on inside back cover. 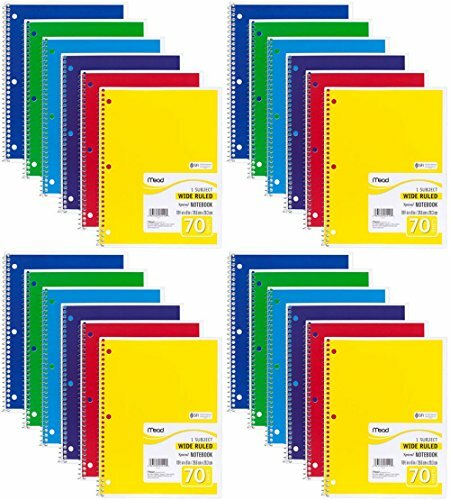 Pad Type: Notebook; Sheet Size: 9 3/4" x 7 1/2"; Ruling: Wide; Number of Sheets per Pad: 100.